* Azure Stack software and functions provided by Microsoft combine with Microsoft Azure operated by 21Vianet to provide Chinese customers with a truly consistent hybrid cloud solution. 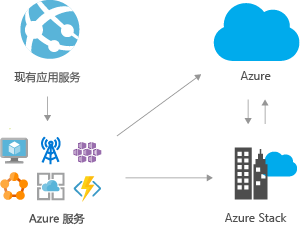 Azure Stack is an extension of Azure that brings the flexibility and fast-paced innovation of cloud computing to local environments. Only Azure Stack lets you deliver Azure services from your organization's data center, while effectively balancing platform flexibility and control to achieve a truly consistent hybrid cloud platform. Regardless of whether applications run on Azure or Azure Stack, developers can build and deploy them the same way, thereby maximizing productivity. Unified tools—use the same Azure Resource Manager application deployment mode, self-service portal and APIs. Common DevOps—perform continuous deployment and integration using Jenkins and Visual Studio Team Services, and automate using Chef and Azure PowerShell DSC extensions. Open source—use a broad range of open-source technologies, including Java, Python, Node.js, PHP, Docker-integrated containers, Mesosphere DC/OS and Cloud Foundry. Find the best combination of cloud and local deployments according to your business and technical requirements. 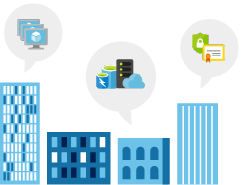 Azure Infrastructure-as-a-Service (IaaS) delivery goes far beyond traditional virtualization. Virtual Machine Scale Sets enable rapid deployments with true auto-scaling for modern workloads. Consistent Azure Platform-as-a-Service (PaaS) functions bring hybrid deployment choice and portability to cloud applications. Run fully managed PaaS, serverless computing, distributed microservices architectures, and container management locally. Focus on optimizing your applications using integrated systems that deliver a consistent Azure experience. Get up and running quickly with purpose-built Azure Stack integrated systems from Lenovo, Dell EMC and Cisco. Experience the continuous innovation of Azure through software updates that are released regularly. You can also easily integrate Azure Stack with other solutions such as monitoring and identity authentication services. * The following links are based on Microsoft Azure operated by Microsoft in other global regions and are only provided for the reference of customers of Microsoft Azure operated by 21Vianet. 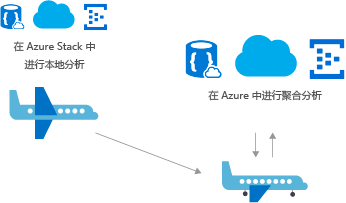 Use Azure Stack to implement local data processing in order to meet low latency and connectivity requirements, then perform collection and further analysis on Azure, sharing the same set of application logic throughout the whole process. This solution brings together the advantages of edge computing and cloud computing, delivering unprecedented business value. From factory floors to cruise ships and remote sites, Azure Stack customers are combining analytics and decision-making with the power of our truly consistent hybrid cloud technology. In a global deployment environment, different instances of the same application can be hosted on Azure or Azure Stack, depending on your business and technology needs. 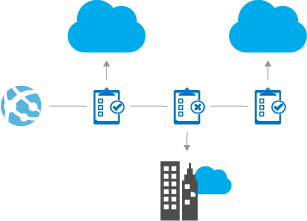 Develop and deploy applications on Azure or use Azure Stack for the flexible implementation of local deployments, to meet specific regulatory or policy requirements without having to change any code. On Azure Stack, use Azure Web applications, mobile services, container services, serverless computing and microservices architectures to update and extend existing applications while using a consistent DevOps process in the cloud and during local deployments. 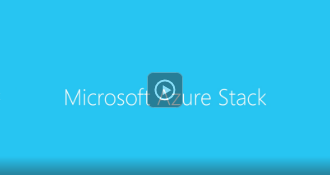 In large and core business process applications, use Azure and Azure Stack’s hybrid cloud environments to meet constantly changing requirements. Microsoft and Huawei have jointly created an industry-leading hybrid cloud solution that accelerates your process of going onto the cloud and provides a genuinely one-stop cloud solution that helps companies and service providers to deploy, run, and manage cloud applications quickly and easily, bringing you a consistent experience with a public cloud. This joint solution consists of Huawei's next-generation FusionServer supporting Intel® Xeon® processors, Huawei CloudEngine switches, and Huawei eSight management software that provides a 360° view for users and comprehensively manages and monitors Huawei Azure Stack infrastructure. The Huawei Azure Stack Hybrid Cloud Solution provides comprehensive deployment services. Its simplified support model means that you only need to dial one service support number. A professional team handles all your technical support needs. ThinkAgile SX for Microsoft Azure Stack supports enabling Azure Cloud Services in a user’s own data center to help accelerate the digital transformation process. This purpose-built, pre-integrated, turnkey rack scale solution enables you to focus more on developing cloud services and applications and less on managing your infrastructure. Lenovo ThinkAgile SX for Microsoft Azure Stack will significantly accelerate value realization and reduce overall costs. The solution is based on Lenovo’s industry-leading, highly-reliable data center server and networking infrastructure, and Microsoft Azure Stack. Lenovo provides a single point of contact to support the end-to-end solution, making it easy for customers to get assistance throughout the entire product lifecycle. Dell EMC Cloud for Microsoft Azure Stack is a hybrid cloud platform for the local delivery of infrastructure and platform as a service (IaaS and PaaS) with a consistent Azure experience. Organizations can access, create, and share application services securely across Azure and Azure Stack for both traditional and cloud-native applications. Dell EMC Cloud for Microsoft Azure Stack uses best-in-class hyper-converged infrastructure, networking, backup, and encryption, along with application development tools provided by Microsoft. It delivers enterprise-grade performance, resiliency, and security, and includes integrated deployment services provided by Dell EMC experts. Single point support from Dell EMC effectively reduces your operational risk, while flexible consumption models make it easy to use. Cisco Integrated System for Azure Stack is a hybrid cloud solution designed to efficiently run consistent Azure services in a data center. Based on the industry-leading Cisco UCS, Cisco Integrated System for Microsoft Azure Stack uses policy-based management, API automation, and hardware abstraction to enable rapid scalability and support hybrid cloud workloads. Avanade provides a turnkey, managed Azure Stack solution. Through a single provider, you get a Microsoft certified hardware platform, Azure Stack software setup and configuration, a hybrid cloud foundations workshop, and then we run and manage it for you. The solution can be deployed on-premises, in a third-party location or hosted in Avanade’s data centers. Azure Stack enables a true hybrid IT cloud model by allowing companies to deploy Azure-consistent functionality in a private environment. 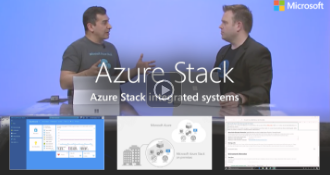 Get the help you need to run Azure Stack or create hybrid solutions that run on Azure Stack. 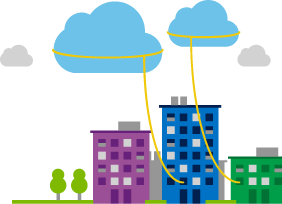 Bring selected software and services from Marketplace to Azure Stack through the Azure Stack syndication service. Reach new customers with Azure Stack, whether you are an app developer, system integrator or managed service provider.